The main project of 2017 was the building of an activity area within Kwa Murugi. 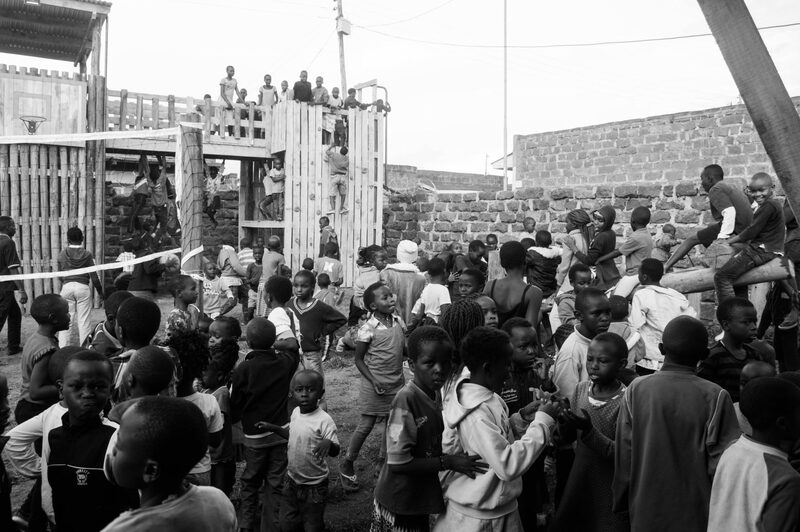 There was nothing for the children to play with in the community or a communal place to relax. On every visit to Kenya we see kids playing with tyres, sticks and rubbish. For the last couple of years our vision has been to create a place where young people can go, have fun and meet together. Whether this is a holiday club, a youth Bible study or just an opportunity to meet people within the community, we have been on the lookout for something. We finally found a place to make this happen, a nearby school had a piece of land that is available, on which we could build the activity area. We sent a team out to Kenya in November 2017 to put it together. 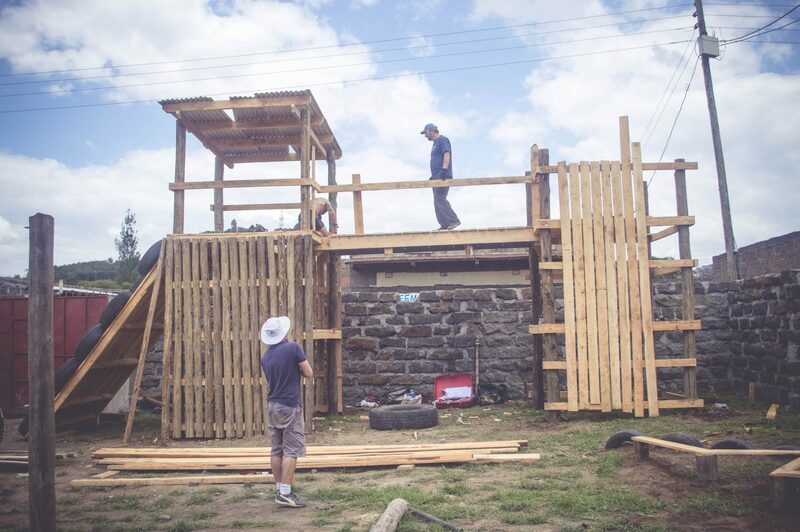 In one week they managed to put together a huge jungle gym, see-saw, table tennis table, stepping stones, pull up bars, tyre swing and a volleyball area. You can see the pictures of the completed area on this page. The local community came for an opening on the Friday of the week it was built and around 200 kids came flying through the gate so excited at what they could see.